Issuing a nationwide injunction, a federal judge in California temporarily blocking the Trump Administration from separating children from undocumented immigrant parents at the US border and ordered that all families already separated must be reunited within 30 days. Judge Dana Sabraw of the Federal District Court in San Diego said children under 5 must be reunited with parents within 14 days, with every family reunited within 30 days. All children must be allowed to talk to parents within 10 days. “The unfortunate reality is that under the present system, migrant children are not accounted for with the same efficiency and accuracy as property,” Sabraw wrote. He said children may be separated at the border only if the adults with them present an immediate danger. The order came hours after the Trump Administration celebrated a 5-4 Supreme Court ruling which upheld the “Muslim Ban” on entry into the US. Citing a lack of detention space, the head of Customs Border and Protection said on Monday that it has stopped referring family cases to the Justice Department. While the Department insisted that it will continue to enforce the “zero tolerance” policy from April, which took more than 2,500 children from parents, White House Press Secretary Sarah Sanders admitted that a lack of resources was impeding further detentions. But Sabraw’s injunction raises more challenges for the Trump Administration. Only 531 of the separated children have been reunited with parents: for more than 2,000, the lack of record-keeping as they were seized; the burden of extensive documentation required from parents, and the deportation of some fathers and mothers in recent weeks is preventing any reunion. The facts set forth before the court portray reactive governance — responses to address a chaotic circumstance of the government’s own making. They belie measured and ordered governance, which is central to the concept of due process enshrined in our Constitution. This is particularly so in the treatment of migrants, many of whom are asylum seekers and small children. 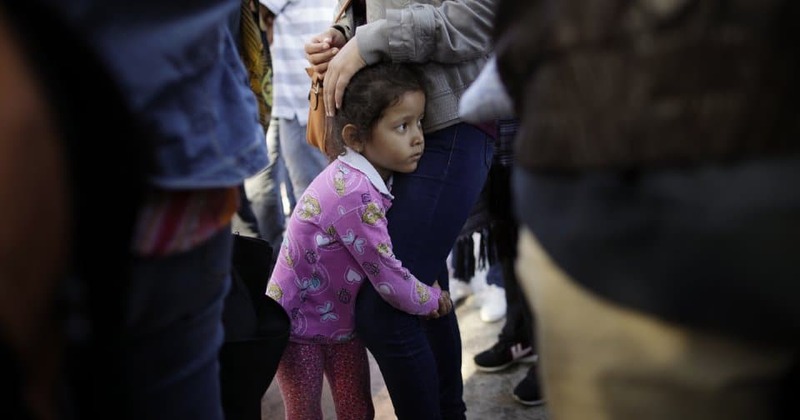 The American Civil Liberties Union filed the lawsuit over two cases in which the children were taken from mothers, before the Administration’s announcement of the “zero tolerance” policy in April. In one case, a woman entered the United States legally at a port of entry, fleeing persecution in the Democratic Republic of the Congo. Her 6-year-old daughter was taken from her and sent to a facility in Chicago, where she stayed for nearly five months. In another case, a woman from Brazil crossed the border illegally with her 14-year-old son, who was separated from her and sent to a facility in Chicago. They were apart for nearly eight months. In another challenge to “zero tolerance”, 17 states and the District of Columbia filed a lawsuit on Tuesday agianst the Administration over the “devastating harm” of the separations and detentions. The states said the “cruel and unlawful” policy is a violation of the principles of due process and equal protection. Health and Human Services Secretary Alex Azar admitted on Tuesday that the HHS is having difficulties over how to care for the children that it is holding. More than 90% of parents separated from their children — often while legally heading towards a port of entry to claim asylum — face only a misdemeanor charge. As of Tuesday, 2,047 children remained in detention — only six fewer than when Trump signed a document last Wednesday nominally committing to no further separations. 1) Immigrants add ~$1.5 trillion to U.S. GDP annually. 2) They are less likely to commit crimes. 3) They pay billions in taxes every year. 4) Illegal border crossings were down before Trump.